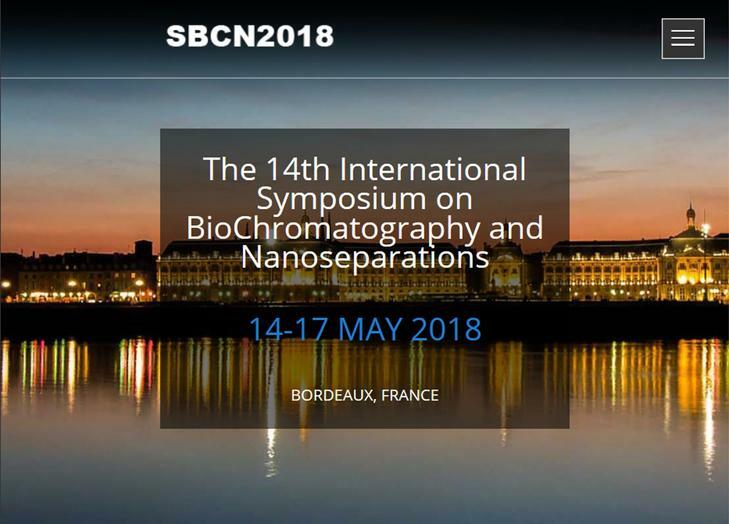 The 14th International Symposium on BioChromatography and Nanoseparation will be held in Bordeaux (May 14 to 17, 2018). This congress will take place at Bordeaux-INP ENSEIRB MATMECA engineering school in Talence. Companies will have the opportunity to display their key products and encounter their customers. 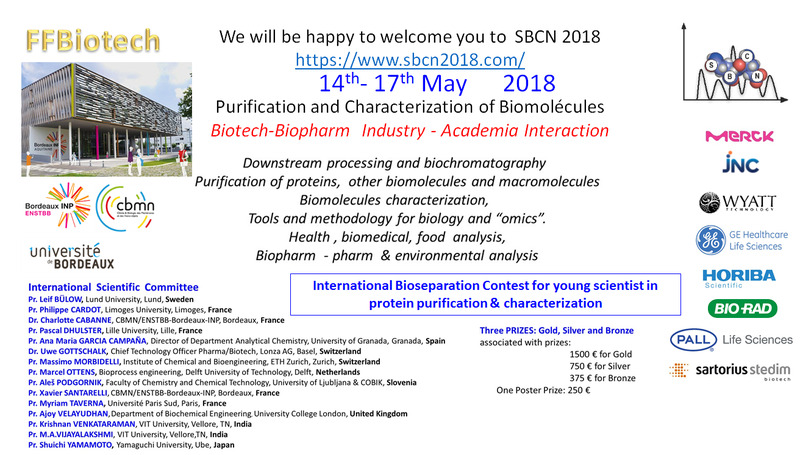 International Bioseparation Contest for young scientist in protein purification or characterization. The goal of the contest is to promote Young Scientists in the field of Bioseparation. PhD students and young Post-Doctoral candidates (within 2 years after PhD) who present their results at this symposium will be considered for this award. This symposium will offer a high level scientific program in a friendly atmosphere. The social program is designed for attendees to enjoy themselves and will give them many opportunities to interact with each other. Application of molecularly imprinted polymers for one-step purifications of proteins. 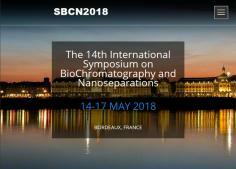 Please visit the congress website https://www.sbcn2018.com/#prettyPhoto to get all information regarding this scientific manifestation and social events.